Suspension of license for driving without helmet-- lawyer notice to Transport Commissioner by Social Justice Watch. കൊച്ചി: ഹെല്‍മെറ്റ് ധരിക്കാതെ ഇരുചക്രവാഹനം ഒടിച്ചതിന് ലൈസന്‍സ് സസ്‌പെന്‍ഡ് ചെയ്യുന്നതിനെതിരെ ട്രാന്‍സ്‌പോര്‍ട്ട് കമ്മീഷണര്‍ ഋഷിരാജ് സിങ്ങിന് വക്കീല്‍ നോട്ടീസ്. ചട്ടം മറികടന്നാണ് ഈ കുറ്റത്തിന് ലൈസന്‍സ് സസ്‌പെന്‍ഡ് ചെയ്യുന്നതെന്നാണ് നോട്ടീസില്‍ പറയുന്നത്. സോഷ്യല്‍ ജസ്റ്റിസ് വാച്ച് എന്ന സംഘടനയ്ക്കു വേണ്ടി അഡ്വ. ഷെറി ജെ.തോമസാണ് നോട്ടീസ് അയച്ചിട്ടുള്ളത്. ഹെല്‍മെറ്റ് ധരിക്കാതെ ഇരുചക്രവാഹനം ഓടിക്കുന്നതിന് മോട്ടോര്‍ വാഹനനിയമത്തിലെ 177-ാം വകുപ്പുപ്രകാരം 100 രൂപ പിഴയാണ് വ്യവസ്ഥ ചെയ്യുന്നത്. 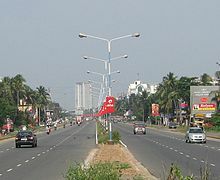 കുറ്റം ആവര്‍ത്തിച്ചാല്‍ 300 രൂപ പിഴയിടാം. എന്നിരിക്കേ ഹെല്‍മെറ്റില്ലാത്തതിന്റെ പേരില്‍ ലൈസന്‍സ് സസ്‌പെന്‍ഡ് ചെയ്തുകൊണ്ട് ഇതിനകം ഇറക്കിയ ഉത്തരവുകള്‍ രണ്ടാഴ്ചക്കകം പിന്‍വലിക്കണമെന്നാണ് നോട്ടീസില്‍ പറയുന്നത്. Non possession of Aadhar card is not a bar to get benefits...Supreme Court ordered that, possession of an Aadhaar card shall not be a requirement for availing any governmental benefit or service. The Supreme Court, as an interim measure today, directed that the possession of an Aadhaar card shall not be a requirement for availing any governmental benefit or service. The direction was issued by the Court in a Public Interest Litigation (PIL) filed by former Karnataka High Court Judge Justice KS Puttaswamy [Justice KS Puttaswamy (Retd.) v. Union of India & Ors., WP (c) 494/2012] challenging the constitutional validity of the Aadhaar scheme. The matter was heard by a Division Bench comprising of Justices BS Chauhan and SA Bobde. The Court after hearing the parties also directed that no illegal migrants should be issued an Aadhaarcard. The petitioner, Justice (Retd) Puttaswamy has sought the quashing of the Aadhaar scheme on the ground that it violates the right to privacy guaranteed under Article 21 of the Constitution in as much as it required the individuals obtaining an Aadhaar number to part with personal information, such as biometrics, iris scans and fingerprints. Justice Puttaswamy has also submitted that there are no safeguards or penalties and no legislative backing for obtaining personal information, and the proposed legislation introduced by the Government had been rejected by the Parliamentary Standing Committee on Finance. 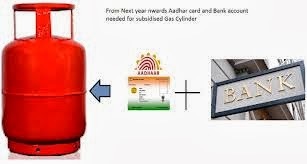 He has further contended that the Aadhaar scheme was linked to various governmental services and benefits like food security under the newly enacted Food Security Act, LPG subsidy, Employees’ Provident Fund, and other DBT benefits. Hence, he argues that an Aadhaar card is mandatory to avail these benefits, contrary to the government’s claim that it is a voluntary scheme. He has also alleged that unchecked allotment of Aadhaar numbers to all residents, including illegal migrants, was jeopardising national security and that scheme was introduced to gain political mileage. Senior Counsel Anil Divan appeared for the petitioner and was assisted by Advocate Ankit Goel. Divan submitted that Aadhaar card has been made mandatory for registration of marriages in Jharkhand, for teaching and non-teaching staff to draw salaries in Maharashtra and for availing various government scholarships. He, therefore, sought for interim directions to safeguard the rights of the citizens. Appearing for the Central government, Solicitor General Mohan Parasaran and Additional Solicitor General L Nageswar Rao opposed any interim relief arguing that Aadhaarwas purely a voluntary scheme. The Court, however, issued interim directions to the effect that Aadhaar card shall not be mandatory till the matter is decided and no Aadhaar should be issued to illegal migrants. It agreed to hear all the issues involved and posted the matter for final hearing for a non miscellaneous day. Since both Justice Chauhan and Justice Bobde are part of the Constitution Bench hearing a criminal writ petition, the case will be heard only after the conclusion of the Constitution Bench matter. Earlier, the Delhi High Court had also issued notice to the Central Government, Government of Delhi and the Unique Identification Authority of India in a petition filed by NGO Beghar Foundation seeking quashing of the Aadhaar scheme on similar grounds. Cancellation/ suspension of license on driving without helmet..other traffic offences.. Whether legal? 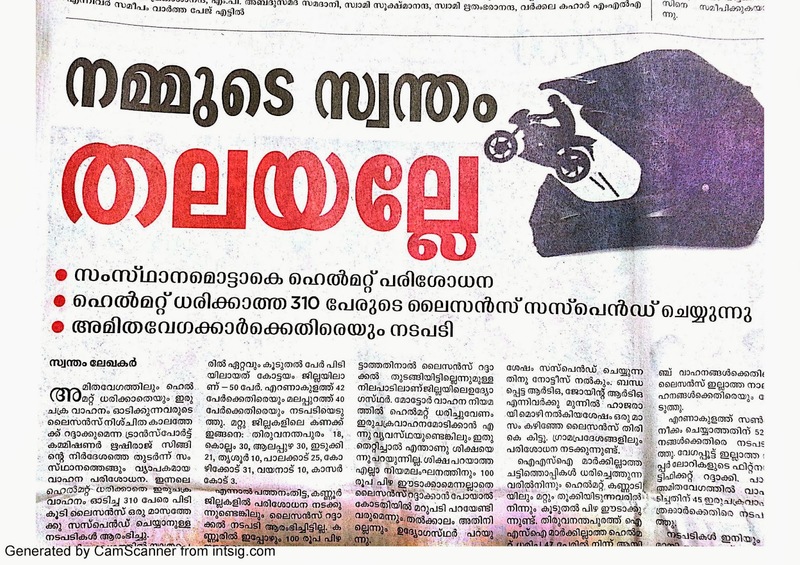 The Transport Commissioner of Kerala, (2013) has issued directions via news media to suspend the licenses of persons who are riding motor vehicles without using helmet. Off course, these kind of direction may create panic among people and the retributive theory of punishment may work out. But is this legal ? Is it possible in a highly literate State like Kerala? The punishment for driving without helmet will come under the general category in section 177 of the Motor Vehicles Act and the fine prescribed is only Rs 100. Can any Transport Commissioner or any officer act against the legislation ? The basic fact that these kind of directions may reduce accident death and it will cause more people to obey the law. But how far is this legal? In strict sense, there cannot be a fine more than Rs 100 for booking a person under section 177 of Motor Vehicles Act for riding without a helmet. Likewise, in several junctions, the amount of fine such as Rs 1000.. etc are seen printed on boards for traffic violations. But imposing fine and fixing the quantum of fine whether it can be maximum or otherwise, it is the duty of the judiciary, and executive officers have no power to intervene in such matters. 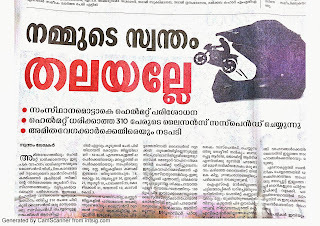 Recent news show that, even on riding a motor cycle without helmet would invite suspension of the license. The section 20,21,22,23 of Motor Vehicles Act deals with the provisions of suspension, cancellation etc of the license. But those action can be done only on found guilty. If the person is not pleading guilty and contesting the matter, then also the question of aforesaid suspension by the detecting officer cannot be done. In one of the case in the year 1991 itself, Js Thulasidas of Kerala High Court held in Divakaran V. State of Kerala that, the cancellation/suspension of license cannot be done in capricious and arbitrary way. The interesting fact is that, the then lawyer who appeared in the said case Mr. P R Ramachandra Menon is a sitting judge in High Court of Kerala. Food Security Act - important features - Power Point Presentation in Malayalam. Motor accident cases - what to do after accident- criminal case and claim case - Motor Vehicles Act. Motor Accidents are common on the roads. Pursuant to the accident, altercation between the parties are also common in some minor accidents. Cursing each other and alleging fault upon the other side, people gathering and watching them around and finally police will come and direct both the vehicles to be taken to the Police Station...these are routine in busy routes in Kerala. What are the cases follow? If a motor accident is occurred and any of the party suffered injury, then offences under section 279, 337/338 of Indian Penal Code are usually charged. If the driver is not a person who is the profession of a driver or a Government Driver, people are ready to plead guilty of the above said offences and for the time being, the Magistrate courts in which these cases are tried will allow the accused to plead guilty by paying fine amount only. This can be done even in the absence of the accused through pleader. If any one dies in the Motor Accident, then the offence under section 304A of IPC will be charged and accused cannot go with fine alone, on pleading guilty in the said offence. What the injured to do? Rather than picking quarrel on the cause of the accident, it is better for the injured to get admitted in the hospital at the earliest. At the time of first instance itself, the cause of injury must be revealed to the duty doctor. Also mention the number of the vehicle which hit the injured. On releasing from the hospital, the injured can claim compensation from the accused/driver and owner of the vehicle. They will be indemnified by the Insurance Company and the insurance company will pay compensation for the owner to the injured. For this purpose, all the bills, salary certificate, loss of income etc need to be brought in evidence. There is no limitation period for filing claim. The claim can be filed at the place of accident or where the claimant resides. The Section 17 of the Maintenance and Welfare of the Parents and Senior Citizens Act denies the right to be represented by a lawyer as far as the parties are concerned. This question was mooted before the High Court of Kerala and now it is settled position that, in view of the provisions of section 30 of the Advocates Act, the provisions in various statutes which deprives the right of legal representation for the parties had been watered down. In the result, the section 17 of the Senior Citizens Act (in short) cannot be a ground to deny the right to be represented by a lawyer in the proceedings. However, this aspect is still not known to many of the presiding officers/RDOs exercising jurisdiction on the basis of this Act. The Decision rendered by High Court of Kerala declared this right categorically. ..
India. With regard to the decision sought to be relied on from the part of the second respondent, it is seen that it was with reference to the rights and liberties of the party to be represented before the forum under the Consumer Protection Act 1986, 'through an authorised agent'. It however does not relate to the right of a lawyer to enter appearance on behalf of a litigant by virtue of the mandate under Section 30 of the Advocates Act 1961. Twenty per cent seats in Stage Carriers in Kerala shall be marked for senior citizens. In accordance with the implementation of senior citizens act, the Kerala Motor Vehicle Rules are amended in this regard. The Gov Order is available in above link. The Social Justice (C) Department of Government of Kerala published notification [G. O (P) No.52/2013/SJD Dated 22/6/2013 as S.R.O. No. 527/2013 in K.G. Ext No.1867 dt 28/06/2013] for regulating the working of board of control constituted under the Orphanages and Other Charitable Homes Act 1960. It is amended in the Regulation 9, that, the following terms are included. – All admissions to a recognized home shall be based on a Destitution Certificate for an orphan in form No.I or a Destitution Certificate for a non-orphan in form II from the village officer of the village in which the person permanently resides. This is the last amendment as on September 2013 in this law. 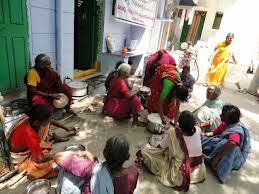 The number of destitute are increasing, especially those who are in the old age. Most often they are abandoned in their own houses, when the children are roaming away for better pastures of life and profession. But this legislation is intended to regulate the orphanages and other charitable homes and to have a general standard for the betterment of the inmates. The moot point is what is the role of Government in this area? Regulations are always welcome and they are necessary. But Government need to pump more funds in this area and Government run homes are to be established more in number. Now the situation is grim, and there exist a large number of charitable homes assuring care to the destitute and old age people. Obviously many of them are not registered but they are providing better amenities to their inmates. But want of registration does not make them a legally equipped home. Running a home without recognition is a cognizable offence, the same need to be tried in magistrate court. Therefore, all the amendments and new regulations are significant and the managements of the respective homes are duty bound to comply with the same. Petition to fix street lights on High Way - filed by Social Justice Watch Maradu Unit will be heard again on 4-10-2013. Thetition filed (OP 111/2013) by SJW before the Permanent Lok Adalat against the street light issue in NH 47 bye pass and implementation of zebra cross in Kannadikkad Jn will be considered again on 4-10-13. The Chairman D Papachan ordered the NH authorities who appeared before him, to file their statement before the next posting date. The Maradu Muncipality is also directed to file their statement within that day. The case was filed by Maradu Unit of SJW. A bold move from south... A discussion on method of analysis in food adulteration cases. A discussion on method of analysis in food adulteration cases. When it comes from Delhi, it will get a special status. In legal parlance, when the dictum is aired from Supreme Court, obviously it is from Delhi. But even then, despite of all the legal obligations, someone will not care to follow the same. This was the prevailing attitude in South, in the case of Pepsico Case and Prevention of Food Adulteration matters. The Supreme Court in Pepsico Case (2011 1 SCC 176), held that since there is no prescribed method of analysis as mandated by section 23 (1A)(ee)(hh) of erstwhile Prevention of Food Adulteration Act, the reports which are being followed by DGHS manual cannot be relied upon for a conviction in Food Adulteration cases. The Apex court categorically said that, the DGHS method (Director General of Health Service) is a secret method and unless and until it is laid down before the Parliament and get approval, the same cannot be used as a method for analysis in food cases. Therefore, the fate of all the Food Adulteration cases which depends on the analysis report of DGHS manual would have to result in an acquittal. Naturally, the effect is very sweeping and it may uproot the prosecution in umpteen food adulteration cases. But if the law is trite, there is no other denouement. But though the Kerala High Court had its tradition in accepting the contentions which was raised in Pepsico case even much before the same was mooted before the Supreme Court. Justice A K Basheer in a unreported decision had held that, since the method of analysis is not known to the accused, there cannot be a conviction on the basis of such a secret method. The said case was not reported or not caused to be reported for various reasons. Thereafter the Pepsico case came. Justice Gopinathan of Kerala High Court, in some of his judgments, accepted the contention of Pepsico case and acquitted the accused in Food cases. But thereafter, Justice SatheesaChandran of Kerala High Court refused to follow the Pepsico case, even though it is rendered by the Apex Court. According to him, it was a different case and the circumstances were different. But it was apparent that, even a bare reading of Pepsico decision will make it clear that unless the method of analysis is approved by the legislature, the same cannot be relied upon. There is no room for the soft corner for the trial Judges who happened to follow the traditional existing method of prosecution and limiting the chances of defenses in Food Cases. If it is later reveals that they all were simply following a bad law, it ought to have changed. At last, the Kerala High Court again showed its boldness to declare that Pepsio Case is binding on all Food cases and all the analysis on the basis of DGHS manual should go. Justice Kemal Pasha (2013 3 KLT 455) held that, the Pepsico case is squarely applicable to all food materials and its scope is not limited to carbonated drinks alone. The Judge also shown the boldness to report the matter in Journals. We do not know, when the Jurisdiction changes, whether the settled position would also change. However for time being, the air from Delhi is ruling the roost in this regard.